The peculiar looking name (Slovene for '10 in a half') refers to the most common dish served here, namely, ten čevapčiči with a half piece of lepinja bread, which is joined on the menu by various other grilled meat dishes and what is perhaps the best burek in the city. Also be aware that no meal is complete without a large bottle of premium Sarajevsko beer. 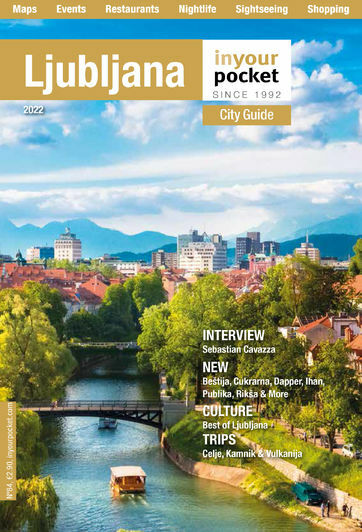 While its location is bit out of the way, the outspoken approval it receives from Ljubljana's residents of Balkan descent, many of whom live in the surrounding neighbourhoods, makes it well worth finding (city buses 5 and 9 stop out front). Open 09:00-22:00, Sat 11:00-22:00, Sun 11:00-20:00.